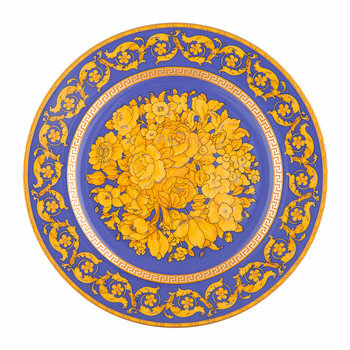 Known for its unashamedly opulent designs, Versace was a natural fit for the luxury porcelain manufacturer, Rosenthal, who first brought the high fashion brand to the home in 1993. 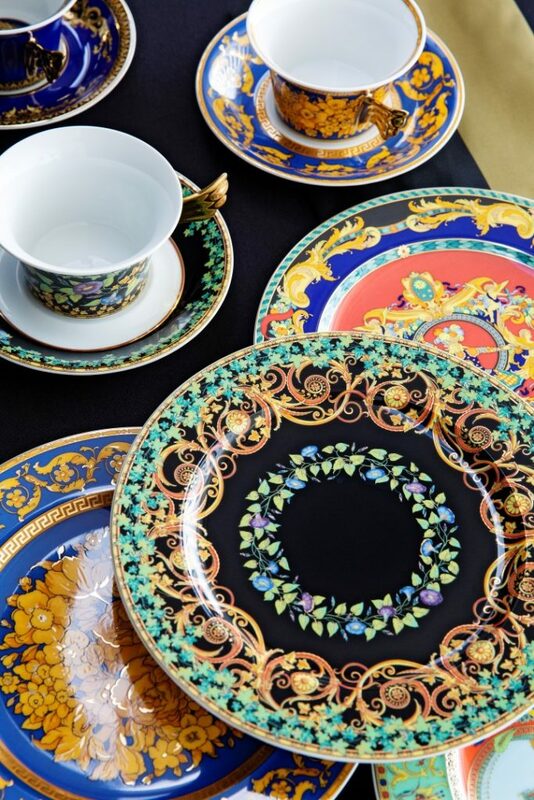 This partnership, which celebrated its 25th anniversary in 2018, was completed under the watchful eye of Gianni Versace himself. 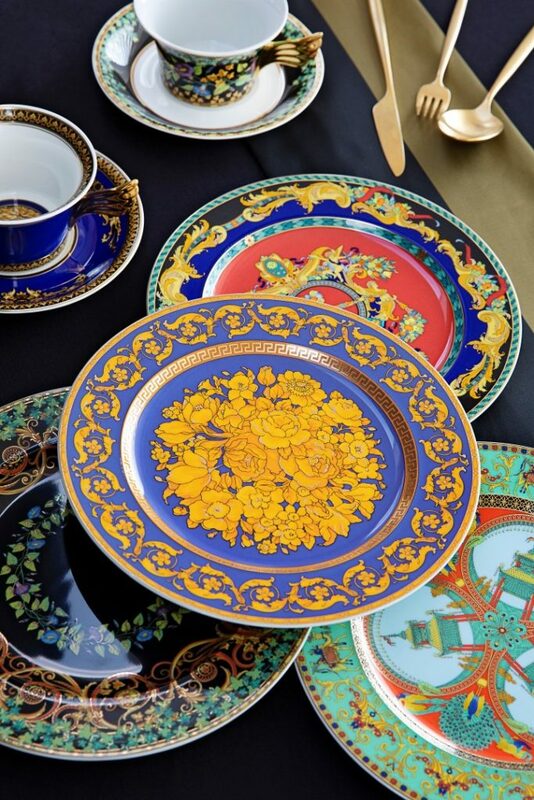 He was one of the very first fashion designers who understood the importance of developing a brand that had true lifestyle value, and this transition from high profile designer to home fashion brand was an integral part of Versace’s growth. 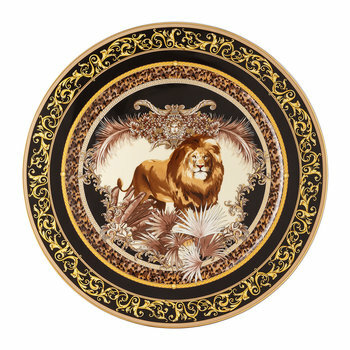 Now under the artistic direction of Donatella Versace, Gianni’s original designs are still rooted in modern day fashion and homeware. 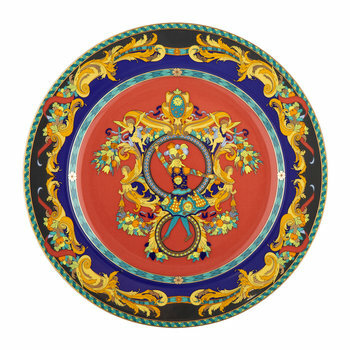 Whether in the bedroom, on the table or on the runway, Versace commands attention. 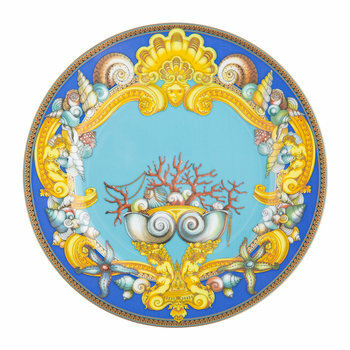 As a master of print, Matthew Williamson’s designs are instantly recognizable. The acclaimed designer showcased his debut collection ‘Electric Angels’ at London Fashion Week in 1997 and he’s been at the forefront of British design ever since. 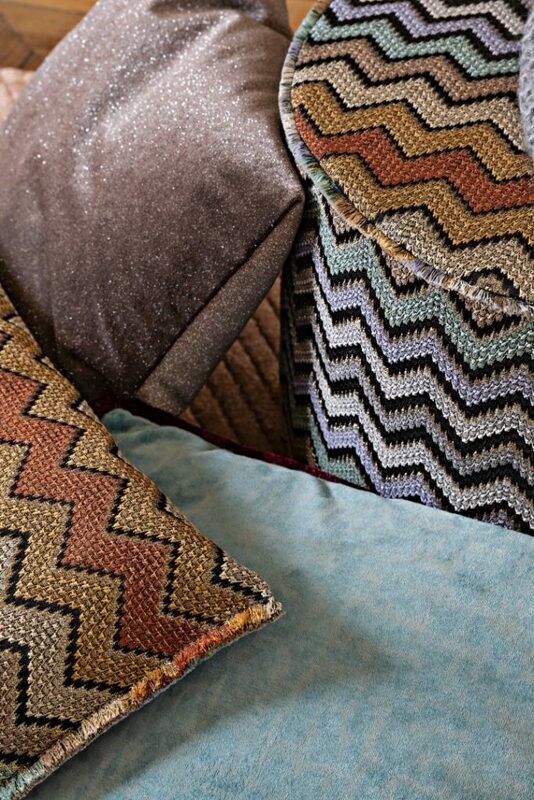 His eye for color and in particular, pattern, means the shift from runway to interior was a natural progression. 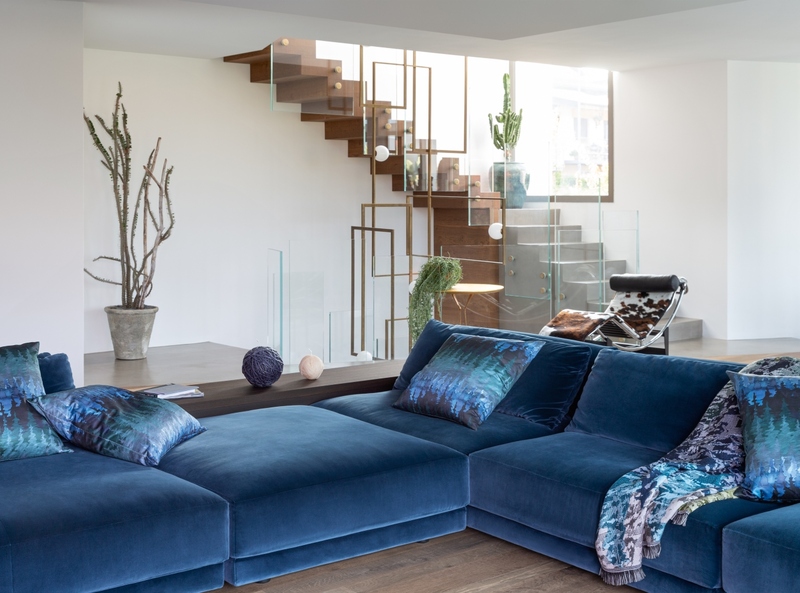 Alongside his impressive career as a high profile fashion designer he has designed furniture with Duresta, wallpaper for Osborne & Little and most recently delved into the world of home fragrance. 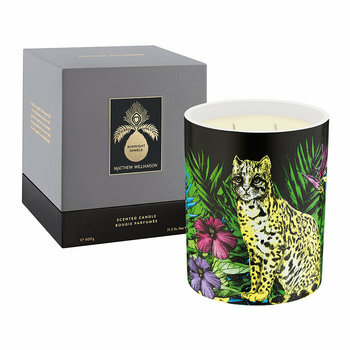 His signature designs take inspiration from global and artistic influences and it’s his travels across the world that sparked inspiration for his eponymous home fragrance range. 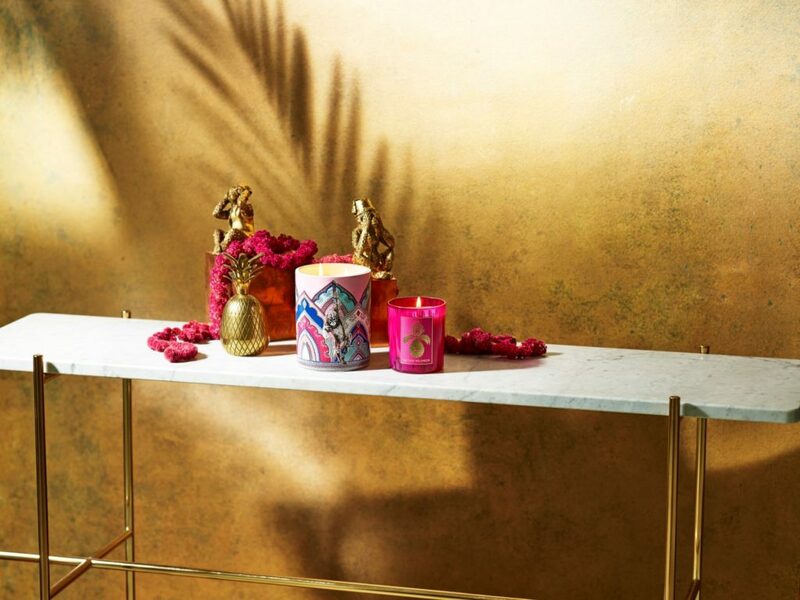 Reflecting different corners of the globe, the collection of scented candles captures everything from the essence of India’s bustling and vibrant pink city to the depths of the jungle & beyond. 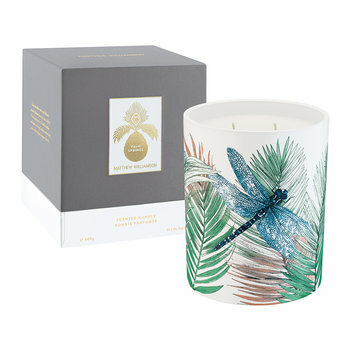 So, where will Matthew Williamson take you? The brand that needs no introduction. 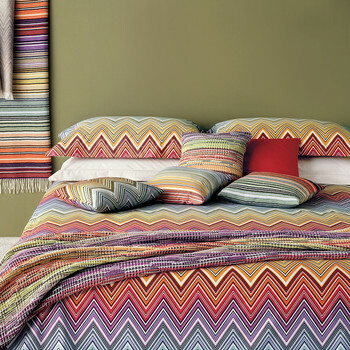 Missoni is a world-renowned name in the fashion industry and best known for its iconic zigzag patterns. 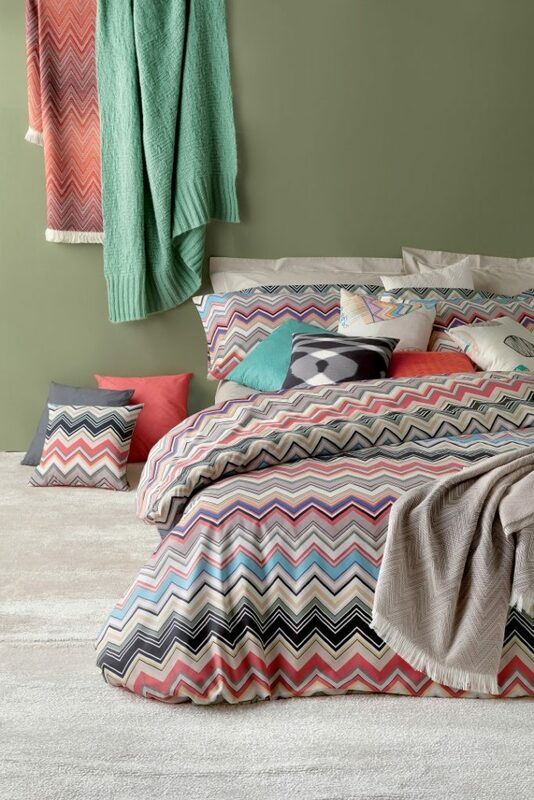 The company was first conceived in 1653 when Ottavio Missoni & Rosita Jelmini joined forces & opened a small knitwear shop in Gallarate, Italy. As the years passed the couple slowly built up their knitwear factory into the internationally renowned fashion house that it is today. Working hard throughout the ‘50s & ‘60s, their big break in America came in 1969 when Diana Vreeland, the fashion legend and then editor of American Vogue, praised the brand so much that press and buyers took notice. 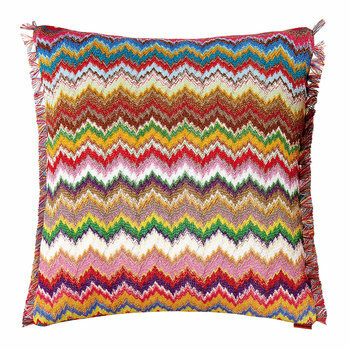 Fast forward 14 years and the couple officially launched the Missoni Home label, which grew into one of the most successful fashion led homeware brands available today. 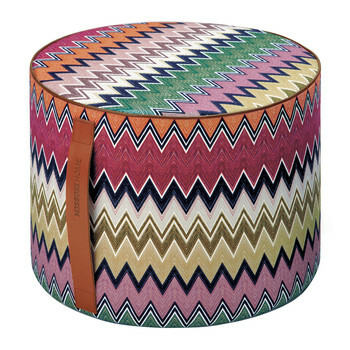 Featuring designs to dress every area of the house, the Missoni Home label reflects the bright colours and bold patterns of the fashion brand, proving that fashion is as important for the home as it is for the runway. Aimee has been writing about interiors for over five years. Always on the lookout for emerging trends, she loves writing interior style guides to make great design accessible for all. A minimalist at heart, her passion for gray interiors is matched only by her love of faux fur & Victorian floor tiles.